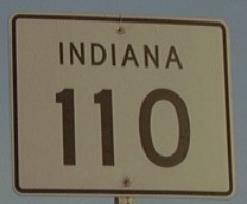 Indiana State Route 110 is an east-west highway that runs along the Fulton/Marshall County Line. It goes from Indiana State Route 17, on the southwest side of Lake Maxinkuckee, to Indiana State Route 25, north of Talma. 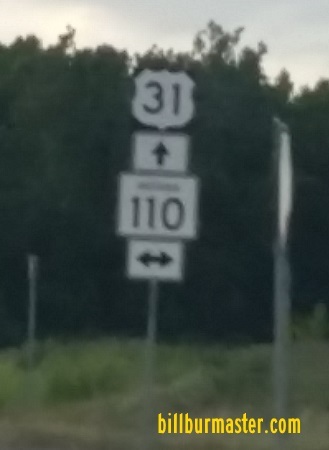 IN St Rt 110 does not pass through any towns in Fulton/Marshall Counties. 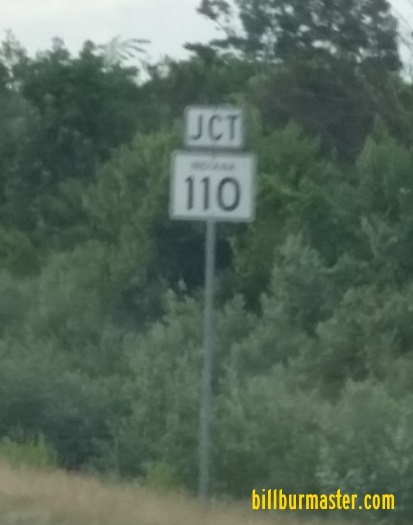 IN St Rt 110 is not multi-plexed in Fulton/Marshall Counties. 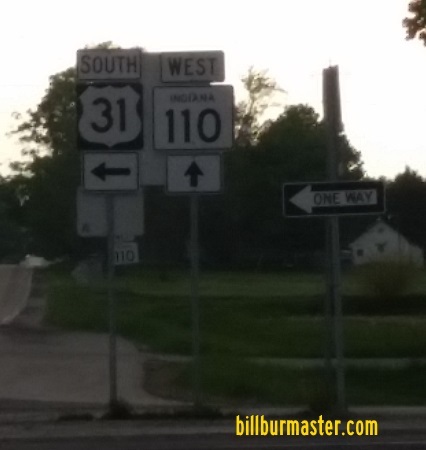 IN St Rt 110 intersects the following highways in Fulton/Marshall Counties. 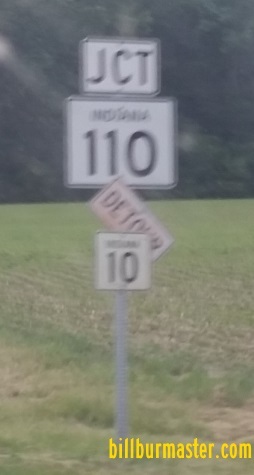 Indiana State Route 17, near Delong. 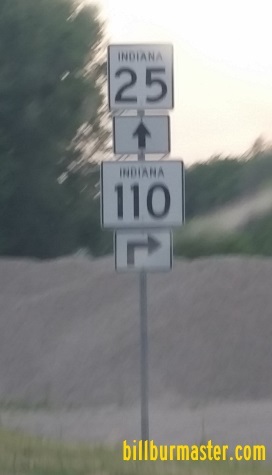 Indiana State Route 117, near Maxinkuckee. U.S. Rt. 31, near Richland Center. Indiana State Route 25, near Talma. A junction marker on SB IN St Rt 25. A junction marker on NB U.S. Rt. 31.